The COTCA Project is managed by a multidisciplinary team, all based at the University of Nottingham’s History Department. Biographical information on individual Team members can be found below. Dr Taylor is the Director of the COTCA Project, and is Associate Professor in Modern Asian History at the University of Nottingham. Dr Taylor is a graduate and University Medallist of the Australian National University. He is the author of 25 peer-reviewed journal articles in leading history and Area Studies outlets (most recently Gender & History and the Journal of Chinese History), as well as Rethinking Transnational Chinese Cinemas: The Amoy-dialect film industry in Cold War Asia (Routledge 2011), and a number of book chapters and other publications. His research has been supported by the Arts & Humanities Research Council, the British Academy, the Higher Education Academy, the Chiang Ching-kuo Foundation, and the European Research Council. Dr Taylor leads Stream 1 (“Representations of Occupation”) of the COTCA Project. Dr Skelchy is an interdisciplinary scholar specialising in the popular musics of Indonesia and Malaysia. He received his PhD in Ethnomusicology (2015) and MA in Southeast Asian Studies (2010) from the University of California – Riverside. His research interests include multiracial studies, sound studies, popular music (sub)cultures, decolonisation and gender. He is a recipient of a Fulbright US Scholar grant (2017-2018), Fulbright Institute for International Education Fellowship (2011-2012) and the University of California Pacific Rim Research Program Fellowship (2011-2012). Recent publications include an article in the Journal of Popular Music Studies (September 2017) which explored identity and anti-genre aesthetics and musical practices among San Francisco Bay Area Noise and experimental Rock artists; and a chapter in the edited volume, Vamping the Stage: Female Voices of Asian Modernities (University of Hawai’i Press, 2017). Dr Skelchy is leading Stream 2 (“Sounds of Occupation”) of the COTCA Project. 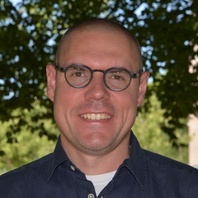 Dr Baillargeon completed his PhD in Modern British History from the University of California – Santa Barbara in 2018. 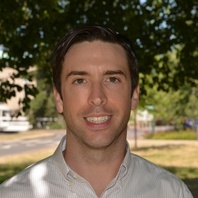 His dissertation, entitled ” ‘A Burmese Wonderland’: British World Mining and the Making of Colonial Burma”, focuses on the Burma Corporation, a transnational mining corporation whose operations were located in the Northern Shan States of British Burma during the early twentieth century. 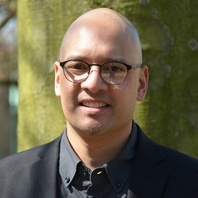 His work has been supported by a Mellon Fellowship from the Institute of Historical Research in London, a Dissertation Fellowship from the University of California Center for New Racial Studies, and a Mellon Dissertation Completion Fellowship from the Council for European Studies. He has also recently had some of his work published in Abolition and Slavery. Dr Baillargeon is leading Stream 3 (“Spaces of Occupation”) of the COTCA Project. Kim Weir obtained an undergrdauate degree in American and English Studies at the University of Nottingham, then completed a Masters in Art Gallery and Museum Studies at the University of Manchester. After graduating, she spent eight years working in the museums and visual arts sectors in the UK and Australia. Her PhD (under Stream 1 of COTCA) explores how US colonial rule in the Philippines (1902 to 1946) shaped the public monuments erected in the country throughout the twentieth century, and how these have affected the way in which particular Philippine historical events have been memorialised and remembered. 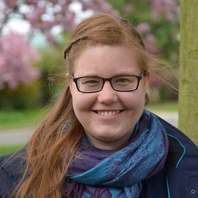 L. Odila Schroeder joined the COTCA Project in 2017. 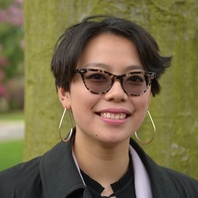 She studied Chinese, Political Science and History of Science at Heidelberg and Cambridge, and holds an MA in Chinese and Transcultural Studies from Heidelberg University. During her studies, she has worked to promote Chinese language education, monitored socioeconomic conflicts in China for the Heidelberg Institute for International Conflict Research, and studied the circulation of European music theory in 20th century China. Odila is particularly interested in everyday sounds, musical performance and repertoire, cultural elite networks, and the use of digital and performative research methodologies. Her PhD project (under Stream 2) aims to account for musical life and choral singing as political practice in occupied Beijing (1937-1945). Vivien Chan is a design historian and design practitioner. She studied Illustration & Animation at Kingston University before completing a Masters in History of Design at the Royal College of Art and the Victoria & Albert Museum. During her studies, she worked as a freelance illustrator and filmmaker, as well as producing several online and print publications on design history and its interdisciplinary approaches. More recently, she lectured in Design Studies at Nottingham Trent University, and represents the Design History Society as Ambassador. 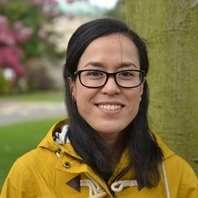 Her PhD (under Stream 3 of COTCA) explores Hong Kong’s spaces of leisure and consumption from the 1950s to 1980s, considering their role in the everyday life of the city during British colonial rule.